Unique Wedding Ceremony Is Just A Wedding Minute Away! Service Ministries and Rev. 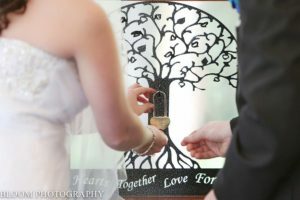 Roy Frye has posted this very nice post including our LoveLocks Unity Wedding Ceremony products for you. The post includes our Tree of Lifes, personalized items and of course our signature LoveLocks. Here at LoveLocks, Inc. we want all our brides and grooms to have a wedding ceremony that is custom to their personalities, bringing families and friends together in a way that is unique to them. Custom engraved messages left on your Love Locks will leave memories for years to come.